Media Channel: Newspaper, Magazine, etc. We are providing services of media relations. Press-conference, Media Interviews and News Publicity. Enjoying a strong rapport with the kith ‘n’ kin of the media industry, we are able to create unique opportunities for our clients through different media spheres. We identify trendsetting story ideas by researching across the industry, related events, publications and announcements for our clients’ broader market appeal. 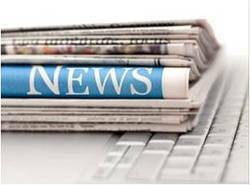 Media Relations is one of the foundations of public relations. Comma Consulting prides itself on its extensive media reach, both worldwide and within India. We try to provide journalists with accurate and complete information, to help them report fairly and truthfully. Our aim is to ensure that our clients and their affairs are covered in an unbiased and appropriate manner. MEDIAMedia Representations Provide unmatched coverage & market presence for our principals (Media Owners) and represent them across markets with utmost transparency, while saving them the cost of setting up offices in key metros & mini metros. With PR professionals who have come from all fields, be it a corporate or a journalistic one, Image Inc. houses some of the best-networked individuals in the industry/country. Given the immense diversity within Indian media, we take a holistic approach in keeping you informed by regularly monitoring media trends, insights and movements. Image Public Relations Pvt. Ltd. 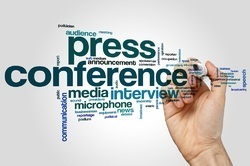 Organizing press conferences distribution of press releases event management conducting interviews and group discussions special stories and articles.